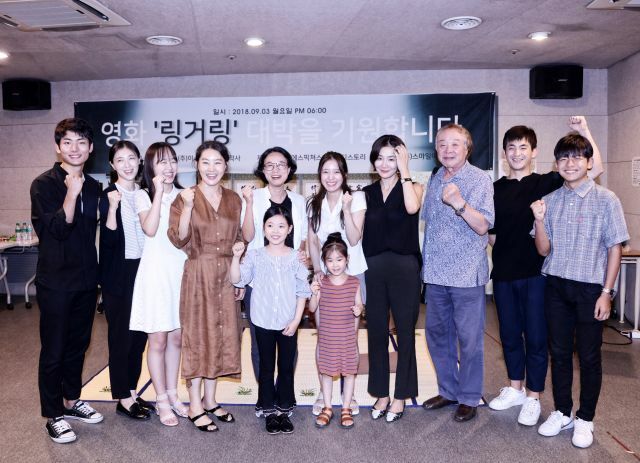 Lee Se-young and Park Ji-young Join Hands for "Lingering"
The well known actors of Chungmuro including Lee Se-young and Park Ji-young have come together for the movie "Lingering", a frightful film that occurs in a mysterious and enclosed space. Yoo-mi (Lee Se-young) finds her mother's friend Kyung-sun (Park Ji-young) at a hotel to drop off her young sister and she comes across some mysterious events there. First, Lee Se-young plays Yoo-mi who gets involved with these queer cases. Lee Se-young has been acknowledged for her roles in "The Gentlemen of Wolgyesu Tailor Shop", "The Best Hit" and "A Korean Odyssey". She became upgraded in the recent movie "Duck Town" in which she used a dialect that changed her character for good. Lee Se-young plans on appearing stronger than before in "Lingering". In the role of Kyung-sun is veteran actress Park Ji-young from "The Concubine", "The Queen of Crime" and others. "Lingering" prides in its perfect casting and apparently their synergy on site is more than anyone could ask for. Producer Yoon Eun-kyung said, "I am happy to be working on my favorite genre of horror and I'm grateful for the people; staff and actors who are coming on this journey with me". Lee Se-young said, "I'm happy to work with people I've always shown respect for and I hope this movie remains a good memory to many people". Park Ji-young said, "I am eager to be able to show the audience something new". "Lingering" begins filming on the 10th of September and is due for release in 2019. [Photos] Seo Kang-joon Pulls Off the Perfect Student Vibe in Latest Stills for "The Third Charm"